This week marks week seven of the Summer Sampler 2016 quilt along, and we are up to our eyeballs in curves! Luckily, we are all experts after the Snow Cone block during week three. 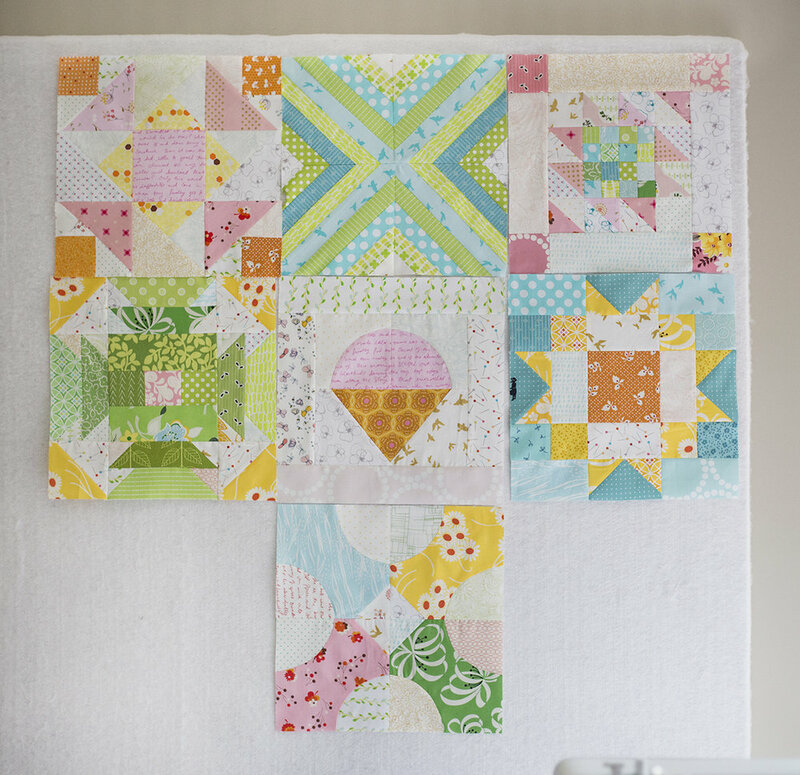 Our block this week is called Trail Crossing, and was designed by one of my cohosts, Lee Heinrich of Freshly Pieced. 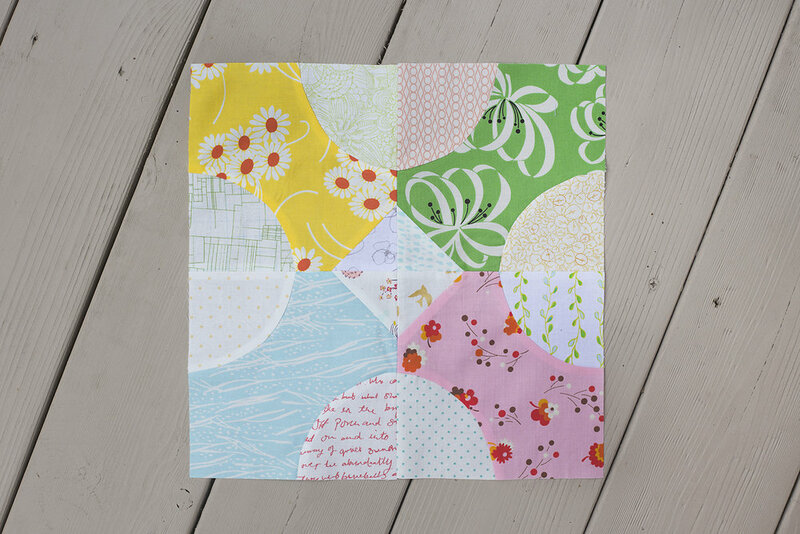 There are a total of 8 curves to sew on this block, so you will definitely find your rhythm with the technique. Here are all my blocks together! I am still leaning towards remaking my week 2 block ~ don't be surprised if you see a new one in there one of these weeks!